Hello and welcome back to the Hot List. So far we have previewed the essential new music, the essential new television, and the essential new movies in 2014. This week we will turn our attention to videogames, previewing for you our loyal readers the most exciting videogames set for release in 2014. 2013 was a big year for gaming with blockbuster releases like Grand Theft Auto V, but at the same time there has been an increasing trend away from massive studios and back into independent development. Kickstarter and Steam Early Access are now firmly established as viable ways for games developers to fund and develop an ambitious title without the backing (or meddling influence) of a big publisher, and this is a trend we expect to continue in 2014. It was also the final year of the old generation of gaming, with the Xbox One, Playstation 4 and Wii U now fully in the throes of battle for the next generation of home console gaming. Early signs suggest that Nintendo may suffer the consequences of a number of bad decisions with poor Wii U sales in recent months, but still they flourish in the handheld gaming market where their 3DS had a bumper year that has seen the company firmly retain their title as the king of handheld gaming consoles. That's not to disregard the smartphone gaming market which has developed massively in recent years to approach the level of complexity associated with dedicated gaming machines. Meanwhile the PC gaming market has seen something of a renaissance, driven in part by this new indie scene, and set to go mainstream with Steam's new push for "Steambox" home consoles. 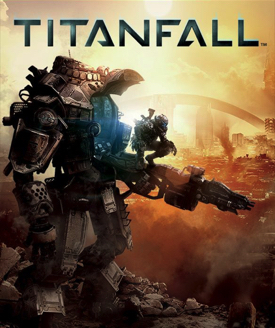 Without an established blockbuster franchise on which to ship Xbox One units, it's becoming clear that Microsoft's great hope in 2014 will rest with Titanfall. This multiplayer only first person shooter, clearly aimed at the Call of Duty crowd, combines parkour-style on foot combat with giant mechs, as players compete across a war-torn planet between two very distinct sides. A debut project from new developers Respawn Entertainment, Titanfall nevertheless has all the hallmarks of a new killer app in the making. Upon its reveal at E3 it won over 60 awards, and early hype is that this could do for Xbox One what Halo did for the original Xbox. The venerable Alien movie franchise has always had an uneasy status in the videogame world. A few decent Alien vs Predator games aside, the series has never really lived up to its promise, and in particular the most recent effort Aliens: Colonial Marines has gone down as one of the all time biggest flops in videogame history. Enter developer The Creative Assembly, who began life as a contractor for EA producing sports games, but has more recently seen success as the architect of the Total War series of games. 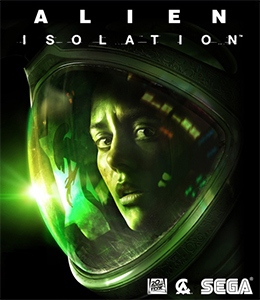 They believe that the problem with Alien games is that they have typically owed more in inspiration to the action-oriented Alien movie sequels than the original horror masterpiece. Alien Isolation seeks to rectify this with a totally new, horror-focused approach to design. No longer will you play a hulking marine with a machine gun mowing down hundreds of aliens, now you play a single unarmed scientist simply trying to survive and hide. It's a novel approach, and it could be brilliant. Much will depend on the quality of the AI of the alien, which will have to be considerably more sophisticated than what we have seen in previous games in order to create the appropriate level of unpredictability and terror. Meanwhile fans of the series will feel giddy at the love that's being put into replicating the original classic movie here, with a retro art-style taken straight out of the 1970s and a high level of detail into making game environments feel authentic. Can this ambitious title live up to the hype? We will have to wait until the winter to find out. It's a somewhat remarkable story how DayZ came to be, starting life as an amateur mod for realistic military simulator ArmA2. The game has since on to become something very significant in its own right, and will see release as a standalone title in 2014. 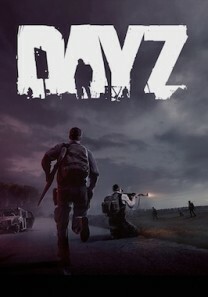 The concept behind Bohemia Interactive's game is simple, take a realistic military simulator, turn it into a massively multiplayer world and fill it with zombies. Players can explore, scavenge for supplies, and do pretty much anything they want in order to survive. DayZ features a massive 225 km2 land mass complete with countryside, towns, and lots of zombies. Everything else is left completely open to the players. This results in uniquely emergent gameplay that is governed less by its programmed mechanics than by the psychology of real people. Players can team up to survive together or kill each other in order to steal invaluable supplies, making trust a central mechanic of the gameplay. AI opponents can be predicted or manipulated, but people are inherently unpredictable. It's this aspect of human nature that makes DayZ such a compelling project, even as the interface and programming continues to look rough around the edges. The game is currently in alpha on PC, with no firm release date. The buzz suggests it will be in a complete state sometime late 2014. Once a stalwart of gaming culture, Japanese RPGs have been going out of fashion in recent years, with diminishing returns from such major franchises as Final Fantasy. 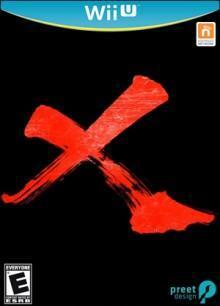 Monolith Soft would like to change all that, and in the process boost the fortunes of the flagging Wii U console that cries out so desperately for a killer app, with their newest tentatively titled game X.
X is an RPG in the classic mold: big open world for exploration, epic world-saving plot, and a heavy focus on characters. Very little else is known about the game other than it is a spiritual successor of sorts to Monolith's highly rated, but hard to find Xeno series, and everything else just comes from the very impressive trailer. A release date is not know, except that it is mooted for some time in 2014. Could this be the shot in the arm the Wii U needs? 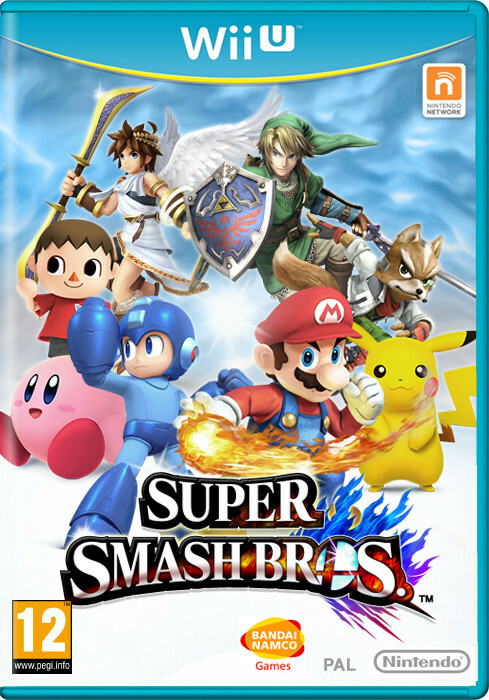 The newest entry in Nintendo's Super Smash Bros series is coming in 2014. It may not have a title yet, but it's coming, and it will see release on both Wii U and 3DS, with some as yet undetailed inter-connectivity between the two versions. Nintendo's mascot beat-em-up is a gaming classic, featuring some of the most important characters in videogame history, addictive gameplay, and bucket-loads of references for nostalgic gamers. We don't expect this golden formula to change much and why should it? From Mario to Sonic to Link to Donkey Kong, all the essentials will be here, along with many others. When it will be released is anyone's guess, but Wii U owners desperate for a taste of Nintendo's celebrated IPs will be hoping it's soon. Broken Age, the new project from legendary games designer Tim Schafer's new studio Double Fine Productions, is seen as a landmark game for many reasons. 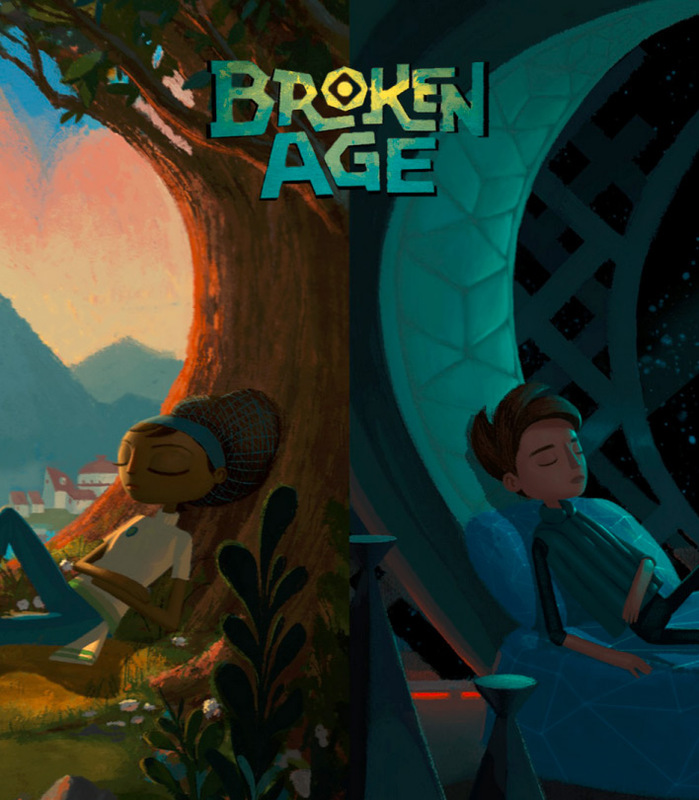 As one of the first major Kickstarter projects, Broken Age showed that crowdfunding is a viable way to make a videogame. Additionally, the resurrection of the long forgotten point-and-click adventure genre shows that there is still the demand for such titles at a time when few publishers would ever consider such a project. That Broken Age managed to raise millions of dollars from the general public for something few games publishers would take a risk on raises serious questions about the industry. Another massive indie hit from a game that studios wouldn't touch with a ten foot pole (seeing a pattern yet?). 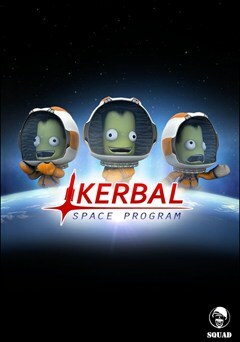 Kerbal Space Program is not only one of the most unique games in years, but one of the most addictive. It started out more as a tech demo than an actual game from developers Squad; players design spacecraft and attempt to fly them. But we're not talking about Star Trek here, these are spaceships modeled after quasi-realistic NASA style components, roughly comparable in technology and aesthetic to what we have today. Layered over this is a remarkably accurate model of interplanetary physics; you won't just point your rocket and fire engines, you have to take into account gravity, orbit, exit and entry, proapsis and apoapsis. For non rocket scientist gamers it may seem a bit daunting at first, but the complex nature of the game, married with the cartoony and lovable artistic style and beguiling sense of scale make for one of the most rewarding experiences in gaming today. You'll cheer as you achieve stable orbit for the first time, marvel as you complete your first moon landing, and then feel giddy as you experiment with space stations, land rovers and many other possibilities. That we have sunk so many hours into a game that's not even really a game yet, but rather a giant sandbox illustrates just how remarkable this project is. Currently at version 0.23 of alpha, the final game should be ready to play on PC and Mac OS X by the end of 2014. The mother of all crowdfunding success stories, Star Citizen has so far rasied over $40 million, and that amount is growing steadily every day. What makes this all the more remarkable is that people are throwing their money at Cloud Imperium Games despite the fact that barely anything in-game has been shown so far. So why all the excitement and hype? Star Citizen is the brainchild of Chris Roberts, a game design legend from the early days of PC gaming most famous for his space-based combat simulations such as Wing Commander and Freelancer. 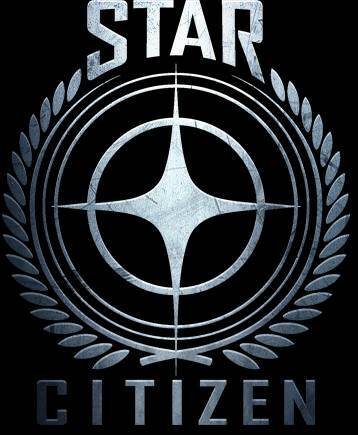 Star Citizen is Roberts' big comeback to gaming following years in Hollywood with a number of producer credits to his name. 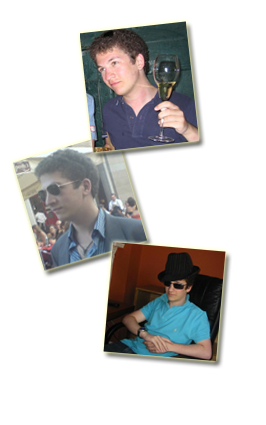 Can an independent developer really deliver on such high ambition? That much remains to be seen, but with the talent involved, and the massive funds they are raising, far eclipsing other crowdfunded titles, things are certainly looking promising. Such is the scale of the game that it is intended to be rolled out in a modular fashion, beginning in late 2014. Bungie are one of the most prestigious developers in gaming, despite only being known for a single games franchise. But when that franchise is a worldwide phenomenon like Halo, it goes a long way. With Microsoft milking that series for all its worth, Bungie were never going to stick around and let their considerable talent stagnate. Destiny is the first major project following their declaration of independence from all things Halo. So what exactly is Destiny? Destiny is a story driven open world first person shooter with RPG elements, set in a post-apocalyptic world where Human civilization, having dominated the Solar System, suddenly collapses due to a mysterious catastrophic event. Society has withdrawn into a single isolated city on Earth. Players control one of the "guardians" of this last city, charged with protecting the remnants of Humanity and exploring the wasteland of former civilization to uncover the various mysteries. What makes Destiny stand out is the integration of multiplayer elements. While Destiny is by no means an MMORPG, players' solo characters are very much the center of the story and will take the full focus, other players will be able to drop in and out of each others' games at specified points, encountering one another along the journey. Quite how this unique aspect will be used to impact the singleplayer narrative has yet to be revealed. In the long run Destiny has been confirmed to take a Mass Effect style approach of allowing gamers to carry on the story, importing old characters through a series of games, with players' decisions persisting throughout. Everything about this game is ambitious, from the mysterious narrative to the quasi-multiplayer gaming, and the persistent character customization. If the gameplay lives up to its promise then we could be looking at the most epic new videogame series since Mass Effect. Every game on this list is ambitious to some degree, some look revolutionary in their scope. Starbound might just be the most ambitious game of them all, in spite of its unassuming appearance. 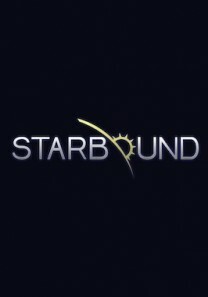 Another entry on the list of crowdfunded indie games, Starbound is the debut title of Chucklefish Games, and the team has not been shy about taking on a very complex first project indeed. It's easiest to describe what Starbound is by reference to other games. Most people will at least have heard of Minecraft, an open world sandbox which enables players to mine blocks of a multitude of materials and use those blocks to build just about anything they can imagine. A few years later came Terraria, which took essentially the same block building mechanic, fleshed it out a bit and presented in a retro two dimensional style. Starbound takes Terraria's design even further. The game features a procedurally generated universe with a practically infinite number of planets, each of which is the size of Terraria's entire world. Each planet has its own environment and it's own procedurally generated plant and animal life, making each one completely unique. Players explore these planets, mine for materials, and can build whatever they want, but this time they can also hop in their spaceship and travel to any other planet they choose. In addition, Starbound adds a lot more structure and story to the game than either Terraria or Minecraft had. There's a quest system, and a fully crafted backstory to everything, and every planet is full of secrets to discover and NPC characters to meet. The scale of universe that this design creates is simply unparalleled in gaming, and allows players to play in pretty much any manner they choose. A player can assemble a team (either singleplayer with NPCs or multiplayer) and explore the universe hopping from planet to planet, or build huge houses, military bases, farms, shops, cities, theme parks, anything they can imagine (and the creativity seen in the work the community has produced so far during the alpha testing is remarkable), the possibilities are literally limited only by the player's imagination. This is something no game has ever really achieved, and if Starbound manages to pull it of, the result will be something very memorable indeed. What makes Starbound stand out even beyond it's ambition is the development team, engaging directly with the community and constantly implementing new features and content based on their feedback. It's quite incredible to see how much direct input the players have had into this game's production thus far, and the commitment of the development team to facilitate such back and forth is very admirable. Hopefully this is a sign of a new era where developers have the resources to produce high end games, and still engage with the users in a very personal way throughout the development process. Starbound is available in it's very basic alpha state on PC, but the full version is expected by the end of this year. So there you have it folks: the 2014 Hot List, running a little bit behind schedule thanks to work but finally complete. Here's to a great 2014, and the Hot List will see you again next year!